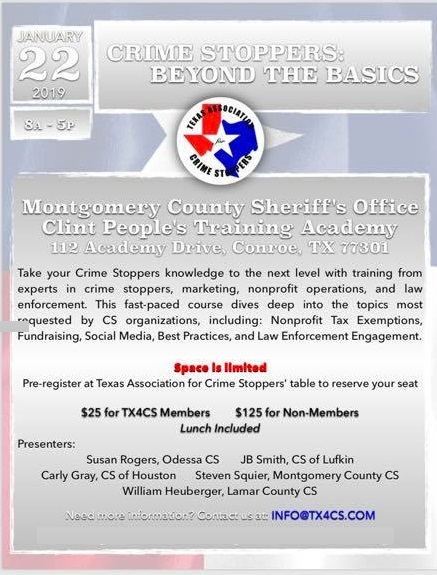 TX4CS is offering valuable Crime Stoppers training January 22, 2019, in Conroe. 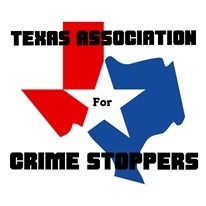 We are disappointed, but at the present time this training has not been approved by the Texas Crime Stoppers Council to count towards the 16 hour required recertification training. The association is diligently working with CJD and the council to obtain approval. The training is meant to be tailored to the needs of the individual attendees. Please, send your questions and hopes for this training to info@TX4CS.com. Whether you have a burning desire to know more about IRS 990s, have questions about a specific fundraising idea, have been wanting to ask “what is Twitter”, don’t understand how to dispo a tip, are struggling to engage your area LE personnel, or have any other CS-related issue, we can help. Send your questions and ideas, and we’ll provide the answers January 22.